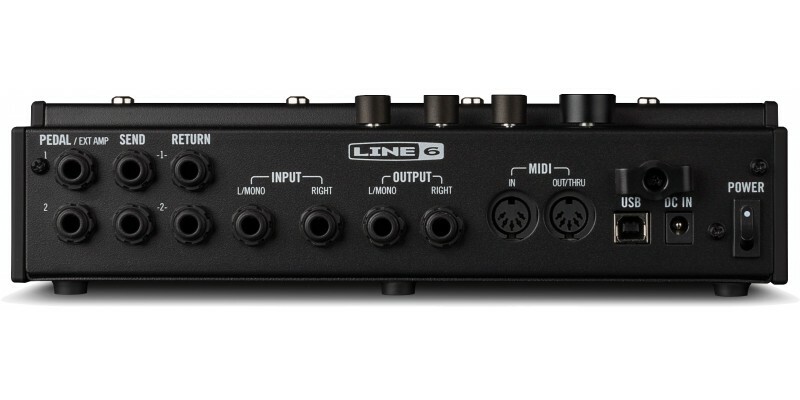 The Line 6 HX Effects unit was created for the guitarist who longs for great Line 6 Helix effects, but also loves their existing pedal board and amp setup. 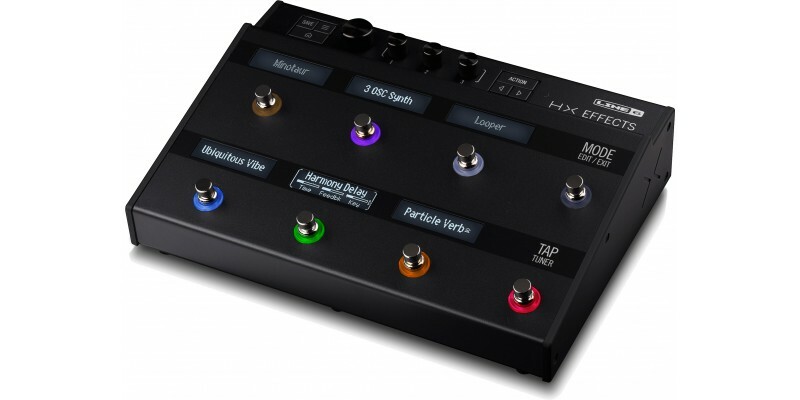 The HX Effects unit packs the Helix audio engine - including all Helix effects, plus legacy effects from M-Series and Stompbox Modeler pedals - into a compact pedal which will fit happily on an existing pedal board. Now available from Merchant City Music, online and in our Glasgow store. We pride ourselves in our peerless customer service experience, and speedy delivery to the UK and Europe. HX AUDIO ENGINE: Featuring the same HX audio engine as Helix processors, HX Effects leverages powerful DSP to run up to nine effects simultaneously. HX Modeling delivers effects with unprecedented authenticity, and accurately recreates the behaviour of vintage effects by emulating their specific circuits and components. HX EFFECTS: HX Effects features more than 100 of the same effects featured in Line 6's Helix guitar processors, including distortions, delays, reverbs, modulations, pitch/synth/filters, compressors/limiters, EQs, wahs, and an on-board looper. 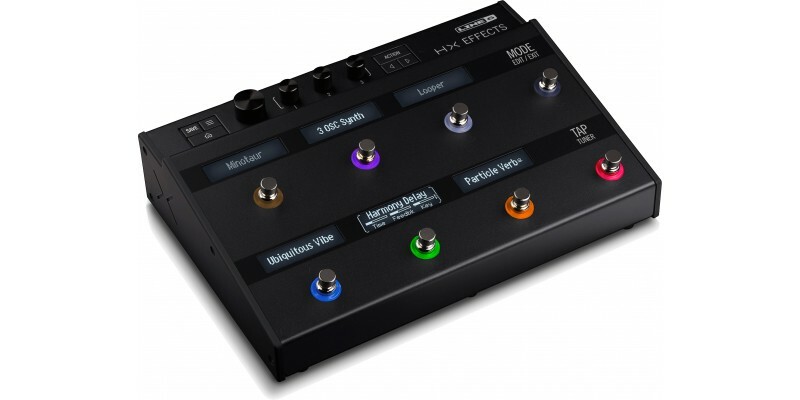 HX Effects also lets you load custom impulse responses (IRs), allowing you to customize your sound even further. INDUSTRY-LEADING DYNAMIC RANGE: HX Effects features an industry-leading 123dB of dynamic range for tremendous depth and ultra-low noise. Each effect is delivered with pristine sound quality to ensure an authentic and responsive playing experience. TRUE BYPASS SWITCHING: HX Effects features selectable analogue bypass switching to ensure your tone isn’t compromised when the pedal is bypassed. CAPACITIVE TOUCH FOOTSWITCHES: Eight capacitive-sensing footswitches with colour-coded LED rings, and six LED scribble scrips enable intuitive effect selection and editing. Simply touch a footswitch with your finger to instantly jump to any effect and quickly adjust its parameters. Touch two switches to swap them. And touch and hold a switch to display all parameters across the LCDs to see everything at once. ROBUST ROUTING AND I/O: HX Effects is easily integrated into existing pedalboard and studio rigs thanks to robust routing and control options, including parallel stereo signal paths, two assignable effects loops (stereo linkable), two expression pedal inputs, and up to four amp switching outputs. 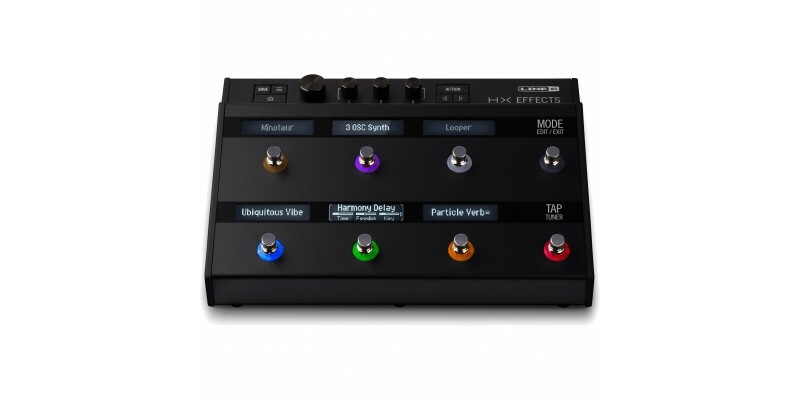 SWITCHABLE INSTRUMENT/LINE INPUTS: A switchable line-level input enables keyboardists, DJs, and producers to connect electronic instruments or use HX Effects as an outboard processor in the studio. 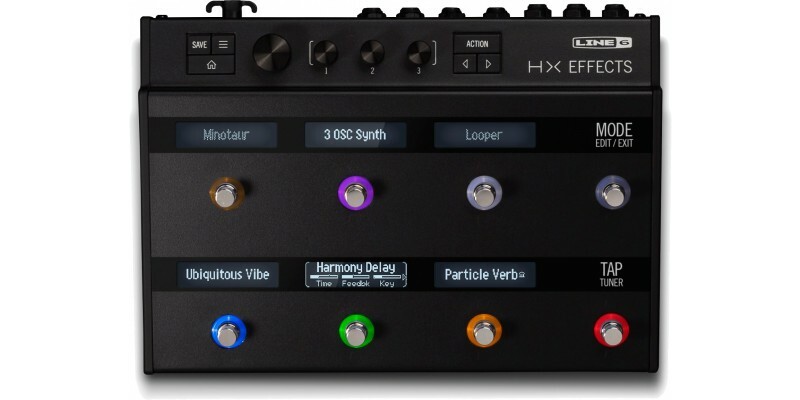 MIDI INTEGRATION: Like Helix multi-effects processors, HX Effects can act as the command centre for your entire rig. Communicate with other pedals or your DAW software via MIDI DIN or USB MIDI, and control your amps from up to four amp switching outputs—all from HX Effects.